DjaoDjin caters to micro-SaaS products. These are specialized and local products. As an example, A1Ceus targets compliance with New York State professional certification requirements. Usually the teams behind those websites are small (1-3 people), with their thumb on the pulse on daily business numbers. Reporting graphs in UTC did not cut it. Questions kept piling up in the customer support inbox about discrepancies between what those micro-SaaS entrepreneurs were experiencing and what the report charts were saying. Reports had to be presented midnight to midnight local time. Here is the journey of what that meant technically to show revenue reports in local time. This is a guest post from Dima Knivets, a freelance programmer that was instrumental on getting this datetime/timezone puzzle solved correctly. Please have a look at the first part on his blog, which covers date, time and time zone basics in detail. 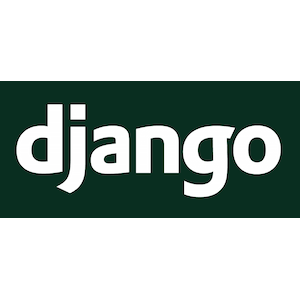 Our core tech is djaodjin-saas, a pluggable Django app. It adds a multitude of API endpoints, among which there are many that return transaction data. The data is stored in PostgreSQL, and API endpoints are powered by Django Rest Framework. On the client side, built on top of Angular.js, this transaction data is used to display graphs. The ends_at parameter is expected to be an ISO 8601 formatted timestamp in UTC. All DjaoDjin APIs are using ISO 8601. Stripe decided to use a UNIX timestamp in their APIs instead, but we found it complicated to debug date/time-related issues. This request fetches transactions created during a 12-month period, counting backwards from today’s date,(2018-04-18) until 2017-04-01. In this case it's not a full 12-month period, because the current month hasn’t ended yet. However, a user then can pick from previous months to have a complete 12-month period, for example a period from 2018-03-01 until 2017-03-01. However, this URL format is deprecated, so it is now required to pass an additional timezone parameter besides the ends_at parameter. The reason behind this will become clear by the end of this post. Meanwhile, here’s how we get the time zone of the client. We then pass this string as a timezone parameter, and a constructed Date object as an ends_at parameter, when making an API call. When Angular.js makes an actual AJAX request the toISOString method of Date object is called, which produces an ISO 8601 timestamp. When Django Rest Framework (aka DRF) receives a request, we parse the timestamp with django.utils.dateparse.parse_datetime function, the return value of which is an aware datetime object. Because ISO 8601 permits only UTC or UTC offset to be specified, the tzinfo attribute of this object is either a UTC (pytz.UTC) or a UTC offset (django.utils.timezone.FixedOffset). This is a bug, because if a HTTP request is made with a timestamp in UTC offset, the first datetime object will have a UTC offset time zone, while the rest of the datetime objects will still be in UTC. So, we have a potential 24-hour window for transactions with the wrong date to creep in. A solution to this problem is to use the time zone of the first datetime object when constructing the rest of the datetime objects. In our situation, it doesn't make sense to convert the first object to UTC too; this is because when we construct datetime objects in the original time zone, time is irrelevant when constructing subsequent datetime objects, because each period begins at 00:00. However, if we do convert to UTC, the time is no longer 00:00, and the day is potentially also different — this complicates the construction of periods. So, it is much easier to stick with whatever time zone offset was passed with the request. The other problem is that the user who made the request might be located in a time zone which has DST. If the time zone has DST, its UTC offset will not be constant during the year. When generating datetime objects we use the same UTC offset for each of them; as a consequence, for dates that fall into a DST period, the actual local time will be off by one hour. To fix this we need the time zone name, which we'll use to get the DST rules for this specific time zone. Awesome. Have you noticed how the time zone offset changes during the year, while time stays the same? That's what we were trying to achieve with localize method. Now that we have the list of correct periods, they are then used to make database queries. Once we have the transactions in our views, they are passed to DRF serializers, which encode them to produce a JSON response. DRF serializers don't modify datetime objects and their time zone info, so we don't need to worry about that. Let's have a look at how Django ORM and PostgreSQL handles time zones in detail. Internally, Django uses pytz package. Django time zone behavior depends on the USE_TZ setting. If your application is serious about time you should always have time zone support enabled and work with aware datetime objects only, otherwise errors will inevitably creep in. At this point, we have a list of transaction rows with datetime fields in UTC. We can either convert the dates back to the original time zone first, or pass them back to DRF. In PostgreSQL all date and time data is stored internally in UTC. On input, PostgreSQL accepts an ISO 8601 timestamp with a UTC offset, or with a time zone name, even though it is not a standard ISO 8601 string. In our case, Django and Python will produce a timestamp with UTC or UTC offset. When no time zone info is specified in a timestamp, the time zone will be taken from the timezone parameter (in our case it is configured by Django upon connection, and set to UTC by default). Every timestamp with time zone or UTC offset used in SQL queries is converted to UTC by PostgreSQL internally. In this post we showed how to present monthly SaaS reports midnight-to-midnight, in local time and through DST. Finally, we described in detail how each piece of software in the stack handles the time zones during this process. Clone djaodjin-saas on GitHub, it’s free! If you need help with your SaaS product, I am available for hire.